In its one-sided support of Israel, Christian Zionism tramples on a universally accepted social welfare principle: do no harm in delivering assistance. Implication: in helping Israelis, do not hurt Palestinians. Christian Zionism is an American religious-political movement obsessed with the establishment of a Jewish state, for biblical fulfillment, at any cost, and in any way possible. A major non-governmental organization (NGO) of this religious movement, Christians United for Israel, claims to have a million members in America. They have been active in driving President Trump’s regressive and punitive policies on Palestine, the wider Middle East, and Muslims worldwide. These policies are radical and far-reaching: relocating the US embassy to Jerusalem, closing PLO offices in Washington, cutting aid to Palestinians, defunding UNRWA, denying the status of refugees, expanding Israeli settlements and eliminating the prospects of a sovereign Palestinian state. In short, the Christian Zionists have prematurely declared Israel a military victor and prescribed conditions for Palestinian submission. Against all odds, they intend to silence Arab resistance to displacement and occupation. Underlying this extreme religious initiative is a cluster of biblical concepts being used out of historical context. Christian Zionism amounts to extreme political Christianity superimposed on unrealistic Jewish aspirations. In his recent book, God’s Country: Christian Zionism in America, political scientist Samuel Goldman identifies three basic concepts driving this movement: the “covenant”, a special relationship between God and the Jewish people; the “prophecy”, the return of the Jews to their “promised land”; and “cultural affinity”, a symbiotic bond between America and Israel. Goldman is an astute scholar of American conservatism, with a contrarian mindset, and seemingly strong sympathies for the movement he analyzes. In response to a recent (10.01.18) C-SPAN covered presentation of his book at the Wilson Center in Washington DC, this writer asked Goldman to comment on the sobering fact that mainline Christian theologians are embarrassed by Christian Zionist’s approach to Israel. Goldman’s response was not satisfactory: mainline churches are dying and Evangelicals are thriving. Indeed, mainstream Christian theologians are discomforted with the highly politicized scheme of Christian Zionists. It is appropriate to assume that Christian Zionism is toxic interfaith mal-practice. In my past work at the Middle East Desk of the World Council of Churches, I was involved in many international interfaith projects. My ecumenical experience leads me to conclude that cooperation between religious communities is at its best when it is applied to a common cause, such as a search for peace, addressing climate change or helping refugees. An appropriate interfaith exchange allows different groups to cooperate on a pragmatic level without interfering with each other’s theologies. Interfaith works well when goodwill is integrated with good deeds. 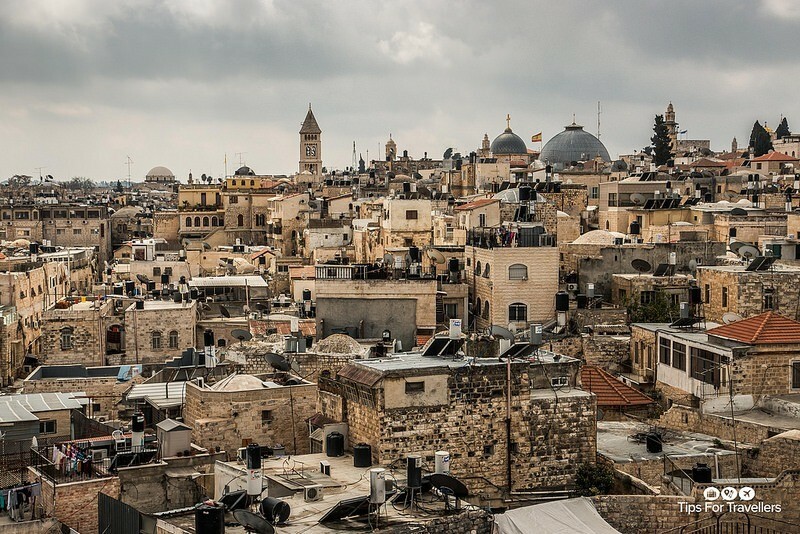 Contrasting with the work Christian Zionism, constructive examples of altruistic cooperation among Christian, Jewish and Muslim communities are not hard to find. To rationalize its unqualified support of the Jewish State, Christian Zionism casts a rare blend of theology on Judaism and on the Jewish people, and thus detracts from Christianity and Judaism. Not many Jews can authentically defend partnership with Christian Zionists. Such a partnership is a marriage of convenience. Jewish thinkers may outnumber Arab critics in exposing Christian Zionism in the West. Goldman’s selected three concepts of Christian Zionism are factually and morally problematic. First, in supporting Israel unconditionally Christian Zionists claim to honor a privileged relationship between God and the Jewish people. But for most Christians, this is an ethnocentric assumption. In Christianity God has a comprehensive, egalitarian, relationship with the entire world. God does not favor any specific community over another. The concept of “prophecy” is also questionable. Christian Zionists proclaim that the “second coming” of Jesus Christ will follow the re-establishment of the Jewish state. Here again, facts are telling. The Jews do not believe in the return of Jesus Christ. They do not believe in Christ’s expected reign in the Holy Land for a thousand years; God’s promise of salvation for Jews willing to convert to Christianity; Christ’s inevitable battle with the Devil; the reward of eternal life for believers; and the punishment in hell for the rest of the world. As for the third concept, “cultural affinity,” Christian Zionists, in Goldman’s framework, consider Israel and the US bonded in shared “values and institutions.” This assumption is somewhat misleading, as Israel’s cultural similarities with America and Europe are limited. What critically connects the US and Israel is a cluster of socio-political realities, not cultural affinity. These realities include a common European industrial background, ruthless economics and a mindset to maintain a predatory, nuclear-based military. The Zionist state is a prosperous industrial nation with a unique mixture of Western and Eastern values. What is more relevant than cultural affinity is the fact that America and Israel do not have identical strategic national interests. Theology-based support of Israel, as advocated by the Christian Zionists, pushes the US to rely on a dangerous foreign policy in the Middle East. Christians supporting a Jewish occupation of Palestinians is an explosive interfaith formula. International intervention in a conflict between Israelis and Palestinians, two nations claiming the same land and deserving equality, will succeed only within a context of reconciliation and justice.